The Earl of Wessex hosts a Symposium at St James's Palace, bringing together some of the best minds in Coral Biology and Coral Reef Ecology. Ahead of World Ocean Day, The Earl of Wessex has brought together some of the best minds in Coral Biology and Coral Reef Ecology, to discuss and exchange ideas on the best ways to tackle the causes of reef decline. As patron of the Central Caribbean Marine Institute (CCMI), The Earl of Wessex has worked with Dr Carrie Manfrino, the Founder and Research Director at the Central Caribbean Marine Institute. Over the years I have been fortunate enough to see a variety of coral reefs and never fail to be struck by their beauty. While many involved in marine conservation know the threats and pressures facing reefs all over the world, the purpose of this symposium is to bring together a variety of leading experts from different disciplines to focus on solutions – what can be done to protect and preserve the reefs for the future. 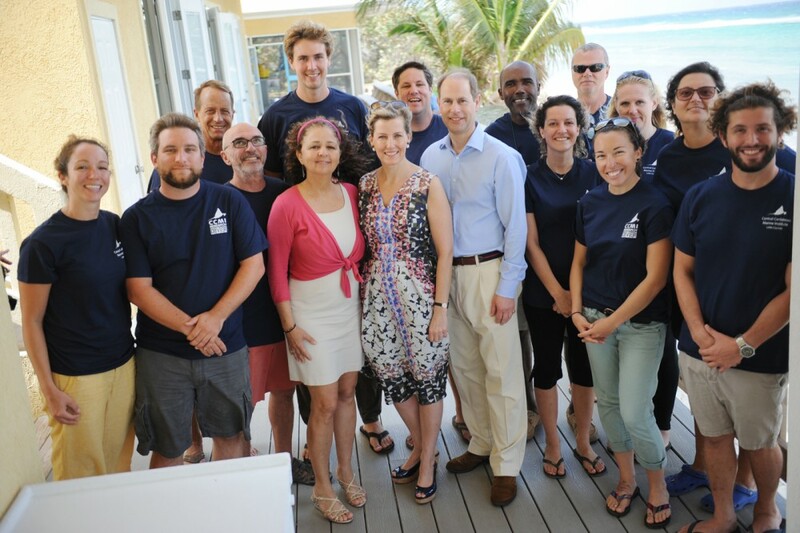 Earlier in 2016 The Earl and Countess visited Little Cayman's Central Caribbean Marine Institute, receiving an update on the extensive research and educational programmes that have developed over the last 12 years of the organisation’s existence.